On this month’s episode we talk to Carlos (Los) Wells and Rick Omonte of the soon opening State House venue in New Haven. We talk about the many aspects of opening a venue and focus on what will be happening there (shows, screenings, meet-ups…). 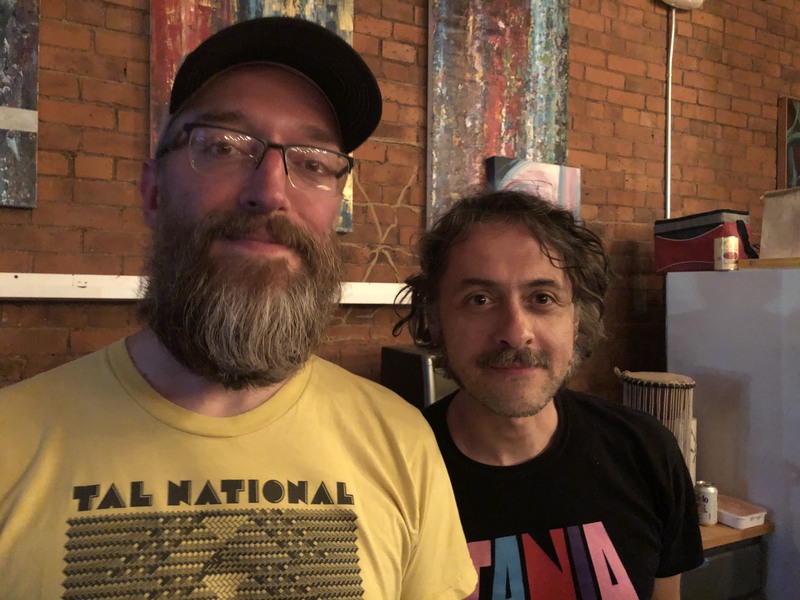 We veer off into band territory with Rick (who is a member of Mountain Movers and a multitude of former bands) and into record label territory with Los (who runs Safety Meeting Records). And we surely veered off into other tidbits here and there too. In the podcast I mention a compilation that Opera IX appeared on which was my (Rick’s) introduction to them. The Redscroll Podcast is a monthly show (new episodes on the first of the month) that works as a companion to what we do at Redscroll Records in Wallingford, CT USA. We are a record store that has a heavy emphasis on the left of center / underground music of the world. Whether it be underappreciated or just has a niche audience, marginalized or just off the radar it’s all of interest to us. With the show we’ll generally have a localized focus. We’ll discuss what is in our personal rotation at the moment. We’ll talk to guests who have to do with all of the above. And we’ll talk about specific dealings with the store. If you have input you’re welcome to contact us through email (redscroll@gmail.com).